Algorithms built on artificial intelligence, machine learning, and big data can automate the process of managing and optimizing job advertising campaigns and provide predictive-performance insights that help companies recruit talent more efficiently than ever. How complexity of data and data silos have led to common misconceptions in job advertising that result in poor use of recruitment budget. 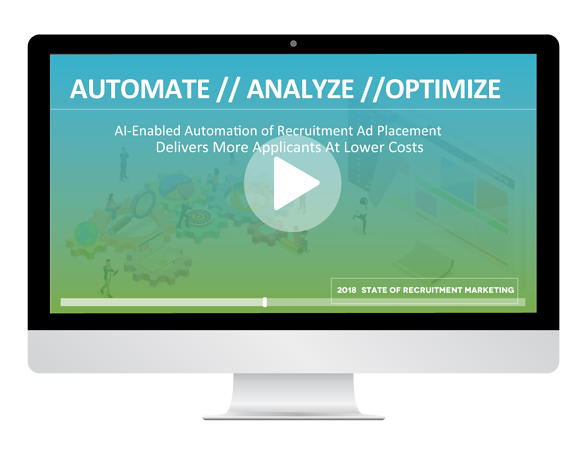 How programmatic algorithms use AI to automatically classify job ads, predict performance, optimize job-level site targeting, dynamically set bid rates, and even allocate budget across jobs. How predictive performance data from job advertising can be used to prioritize other staffing resources much more efficiently in order to reduce costs and time to hire. How large companies like Avis have adopted programmatic job advertising and highlight the positive results they have achieved.